Today, I was proud to recognize, with Mayor John Tory, 18 housing organizations as Toronto's 2018 Affordable Housing Champions. The awards were presented at the City's Affordable Housing Committee meeting to non-profit and private sector organizations with rental and ownership affordable housing developments currently under construction. I want to thank our non-profit and private sector partners for their dedication to building quality, affordable housing in Toronto. It is only through these strong and ongoing partnerships that the City can succeed in providing new affordable rental and ownership housing for Torontonians. "We are committed to building more affordable housing at a faster pace," said Mayor Tory. "The Open Door Affordable Housing Program was designed to facilitate the construction of affordable housing to help people find safe, decent and affordable homes. I am thrilled that private and non-profit housing organizations have stepped up to build new affordable housing in our city." The organizations awarded today are delivering 1,094 affordable homes in 20 developments in 12 wards across the city. These homes will be ready for occupancy starting in 2018 through to 2020. More information about the Open Door Affordable Housing Program is available at http://ow.ly/kEaO30iHyXf. On April 4, 2017 in the Toronto Star published an Op-Ed I wrote together with Councillor Josh Matlow highlighting the rental affordability crisis many Torontonians face. Rental affordability for many residents has become a growing problem with record-low unit vacancy rates of 1.3%, a lack of new purpose built rental stock and rapidly rising cost of rent. In units constructed after 1991, including purpose built rental and condominium units, a lack of rent increase controls has in some cases contributed to reports of price gouging with annual increases of as much as 50%. The rising costs of housing threatens Toronto's economic fabric with new families and workers unable afford to move into our city and contribute to Toronto's long term prosperity. Addressing the current rental affordability crisis requires new solutions and collaboration amongst all levels of government and our community, non-profit and private sector partners. The City of Toronto is taking the first steps by bringing together experts and stakeholders to understand how we can find solutions. By building on these efforts and working together, we can ensure that all Torontonians are able to live in safe, affordable and clear homes. The time has now come for non-profit, community, and private-sector organizations to work with all levels of government and governmental agencies to tackle the rental housing crisis and prevent the hollowing out of our city. No Torontonian should be forced to choose between paying the rent and buying groceries, which is the unfortunate choice too many residents of our city are forced to make every month. As the chairs of the Tenant Issues and Affordable Housing Committees we have heard from too many individuals who are being squeezed out of our city. Rents are rapidly rising and on the turnover from one tenant to the next, units are frequently being rented to the highest bidder. Due to a historically low vacancy rate of 1.3 per cent, and a lack of new purpose-built rental supply, more and more residents are finding themselves precariously housed by renting condominiums. Despite the ongoing construction of new condominiums, there remains a major shortage of homes that people can afford. The rental situation has now become critical and it is increasingly affecting the social and economic success of Toronto. Many residents are being priced out of the housing market, threatening the city’s ability to attract investment, good jobs, and maintain social cohesion. We can help address the supply challenge at the municipal level by creating opportunities to increase the amount of purpose-built rental supply, support the collection of better data, leverage innovative funding and financing models, ensure as many residential units as possible are on the market and encourage the creation of secondary suites, such as laneway suites. The other issue that needs to be addressed is the Residential Tenancies Act. As a result of market pressures and a lack of protection for renters living in a unit built after 1991, some tenants in condominiums have reported price gouging through annual rent increases between 10 per cent and 50 per cent. This challenge has contributed to a rise in condo apartment rents averaging close to $2,000 per month. While the “1991 exemption” enacted by the Mike Harris government in 1997 was meant to spur an increase in rental housing construction by allowing unrestricted yearly rent increases, it has largely failed to increase the amount of purpose-built rental supply. On the other hand, residents in pre-1991 buildings that supposedly were protected are faced with rent increases above the guideline to pay what should be the cost of doing business. These are just some of the challenges that need to be addressed and that have created a two-tiered tenant and landlord system that must be fixed. We are pleased that the minister of housing has responded to calls to review the Residential Tenancies Act. The new reality of the rental market was not anticipated 20 years ago and needs to be reflected through updated provincial legislation with fair, balanced, and predictable regulations for everyone. As a first step, we are hosting an unprecedented joint meeting of our two committees today at City Hall to take a holistic look at rental affordability in Toronto. This will allow us to take stock of what is happening in Toronto’s rental housing market and hear first-hand from the public and stakeholders most affected. With everyone working together, we can move forward with concrete recommendations to help ensure all Torontonians have access to a safe, clean, and affordable home. Josh Matlow is the city councillor for Ward 22, St. Paul’s and the chair of the Tenant Issues Committee. Ana Bailão is the city councillor for Ward 18, Davenport and the chair of the Affordable Housing Committee. Housing and homelessness advocates are calling the federal commitment to affordable housing a strong step forward in the effort to end a countrywide housing crisis. While it’s too soon to know what this money will mean for Toronto, the $11.2 billion pledge is seen as a clear signal that the federal government is dedicated to creating new and affordable housing and keeping people off the streets. “Clearly, today the Government of Canada has embraced its role in helping to build up the City of Toronto,” said Mayor John Tory, speaking broadly about the budget in a statement. The federal government has promised $11.2 billion for affordable housing initiatives and programs, to be spent over 11 years. Roughly $3 billion is set to be spent in the next five years and $20 million slated for this year. Last year’s budget included a $2.3 billion pledge for affordable housing construction and repairs, with half a billion committed to be spent over the 2017-2018 fiscal year. The money falls short of what a caucus of big city mayors, including Tory, had said was needed for affordable housing. Tory, with the caucus, had asked for a pledge of $12.6 billion, spread over eight years. Toronto Community Housing faces a $2.6 billion repair bill over the next 10 years. The corporation houses more than 110,000 people in 2,100 properties, including more than 350 low- and high-rise buildings, and is on track to close 475 units before the end of the year. The city has already put in one-third of the money for repairs and Tory has repeatedly pressed the federal and provincial governments to each pay a remaining third of the bill. 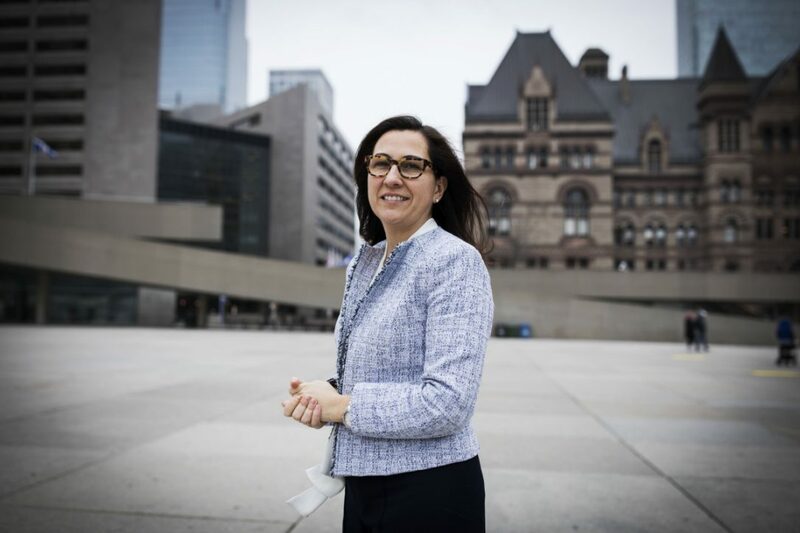 Councillor Ana Bailao, the city’s housing advocate, described the budget as a huge step forward, and said it was reassuring to see the needs of municipalities, including action on homelessness and data collection, reflected in the early details. Bailao said it is critically important that money provided to cities be distributed based on need, not strictly population, and that the province matches funding, particularly for social housing repairs. “We need to touch different points of the housing spectrum, but definitely the TCHC and the housing stock is something that needs to be maintained,” said Bailao. In Canada, more than 35,000 people experience homelessness on any given night, and more than 235,000 will over the year, according to the Canadian Observatory on Homelessness. A National Housing Strategy is expected this spring, after a months-long consultation process, where more than 7,000 Canadians weighed in through reports, focus groups and written submissions. 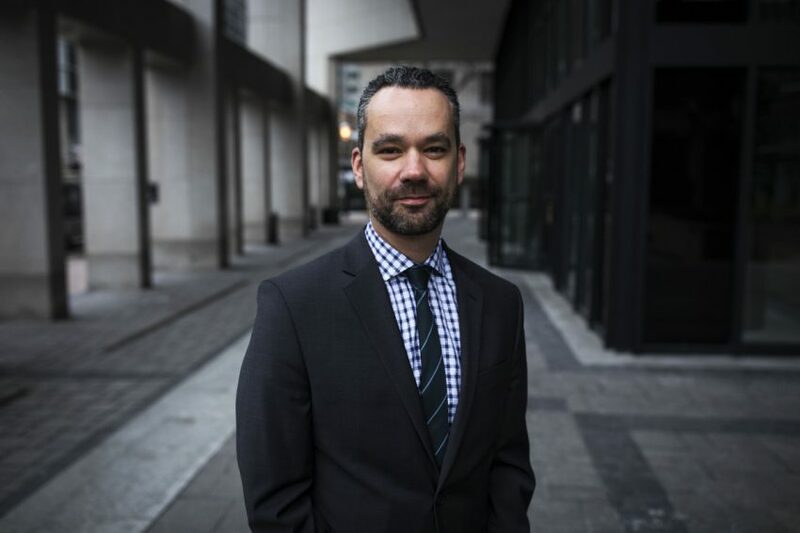 Pedro Barata, who co-chairs the National Housing Collaborative, a coalition of non-profit and private housing associations and charitable foundations, said they were pleased to see the federal government commit to long-term funding, particularly when it comes to protecting the most vulnerable. Barata noted the budget contained a $2.13 billion commitment to ending homelessness, to be spent over 10 years. Alejandra Ruiz-Vargas, 48, has been living in community housing since 2011, and says help can’t come soon enough. “Toronto Community is the core of housing in Toronto,” said Ruiz-Vargas, East York chair of tenant advocacy group Association of Community Organizations for Reform Now, Toronto, or ACORN Toronto. Housing is the multi-dose cure we need for a brighter future because it strengthens our society and our economy in so many different ways. It makes people healthier and more productive. It allows them to better contribute to, and participate in, their communities. It reduces costs to our health, education and legal systems. Canada needs a strong dose of such medicine and it needs it soon. That's why, for the last two years, I have stood side-by-side with Mayor John Tory and city council to strongly advocate for Toronto's housing needs. In the coming March 22 federal budget, we believe there is a golden opportunity for the federal government to show leadership on housing and help improve the lives of Canadians. Canada celebrates its 150th birthday this year and for Prime Minister Justin Trudeau and Finance Minister Bill Morneau this budget can set housing on a new and promising course for the next 150 years. This Liberal government swept to power on a promise to help grow a strong middle class. The hardworking men and women in Canada's middle class cannot grow stronger if their bank accounts are drained by high housing costs. In Toronto, far too many families are sacrificing the basics and their future savings in order to simply pay ever-climbing rents or mortgage payments on ever-increasing house prices. When it comes to affordable housing in Toronto, it is clearly a problem created by past federal (and provincial) governments. It can only be fixed by them as well. The City of Toronto is doing all it can with its limited resources. Budget 2017 is an opportunity to make significant, predictable and long-term investments in affordable and social housing across the country. To get housing right, the federal government must begin treating it as important infrastructure – just as crucial to communities as roads and transit. Toronto Community Housing has a $2.6-billion repair backlog. That's $2.6 billion we need to spend just to fix the social housing we have. This housing was left on the City's doorstep by other levels of government with no money in the bank to maintain a state of good repair and no extra funding to keep it from crumbling. Faced with a moral imperative to act, the City has laid out a plan to fix our housing stock so that people can live in dignity. But that plan only works if all three levels of government step forward to pay what they owe as partners in social housing. The City of Toronto/TCH will dedicate $1 billion towards repairs by the end of this year. By including these simple changes in the budget our federal government would send a message that Toronto isn't alone in this work and that residents haven't been left behind to take care of themselves. Fixing housing may not be easy, but it is essential. It's the medicine we need to build a stronger, fairer Canada for the 21st century. Cities across the country are anxiously awaiting Wednesday’s federal budget to see how much the government dedicates to housing initiatives. Between sky-high prices, a 1.3 per cent vacancy rate for tenants and a record-length waiting list for social housing, Toronto has plenty of needs. The 2018 budget is seen as the city’s best shot at getting long-sought funding. Officials hope $12.6 billion will be dedicated to housing infrastructure across the country, but rumours place the number closer to $11 billion. Metro spoke with Coun. Ana Bailao, Toronto's housing advocate, about her housing wish list for the budget. Bailao said policies should be about more than subsidizing home ownership. “In order to tackle housing, you need policies that will address different points of the housing continuum,” she said, referencing social housing, rental housing and the shelter system. For four years, city council has requested that the federal government fund a third of the $2.7 billion in needed repairs to Toronto Community Housing. The federal government, like the province, has yet to do so. “We’ve been advocating for this for a while,” Bailao told Metro. “We want to see the federal government maintain existing levels of funding for social housing,” added Bailao. The existing plan will see the federal government contribute $7 to $8 million less to Toronto each year until 2030, which creates an annual budget crunch for the city. Bailao would like to see the Canadian Mortgage and Housing Corporation give loans for purpose-built rental housing and provide GST relief for builders of new units. Bailao would like federal money to support the homeless too. Specifically, she’d like to see the Homelessness Partnering Strategy made permanent and its funding doubled. The program matches funding for initiatives that reduce and prevent homelessness in urban centres and among Indigenous communities.